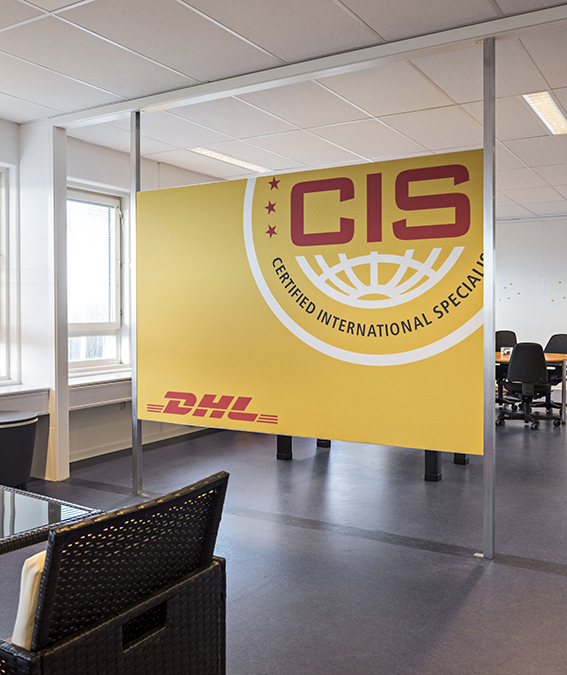 Branding internally, acoustic improvement and decorations together with an eco-gentle story are all parameters fulfilled in the solution for the head quarter of DHL Express in Copenhagen. 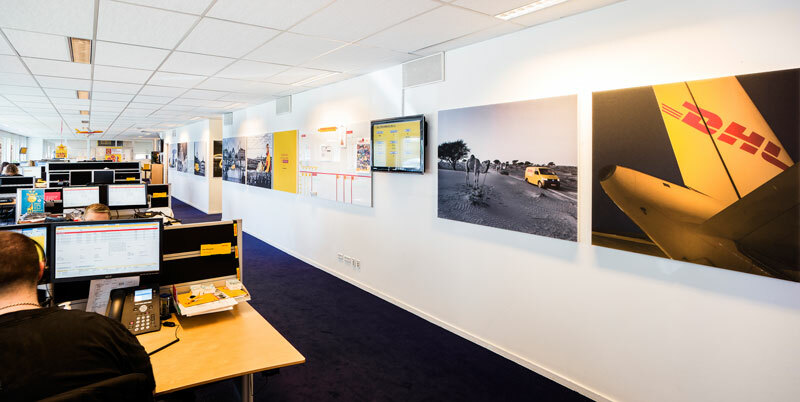 In collaboration with the tender manager and the heads of the different sections involved, plus the interior consultant from EFG Bondo we have created a solution, a sort of grid containing all information requirements: white-boards, monitors and acoustic boards. The elements are organized in a tight ribbon; this layout creates calmness in the ‘office landscape’. 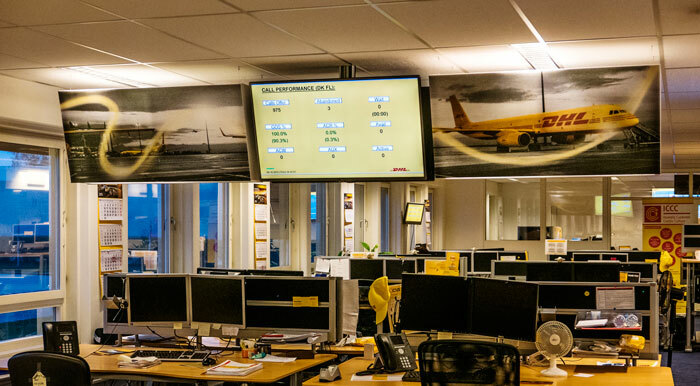 The grid can be applied in all DHL express locations in Denmark. 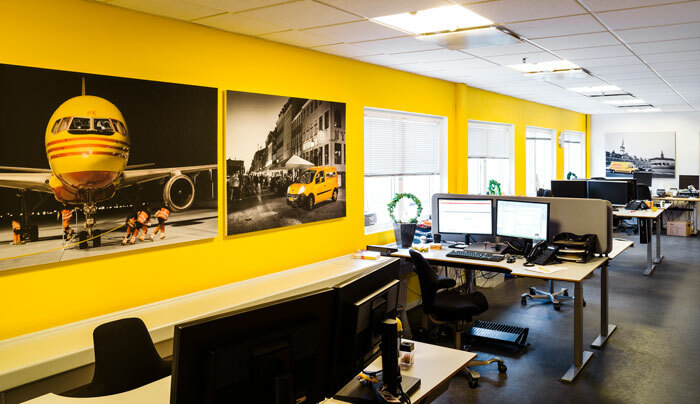 Open offices have benefited from the acoustic and the visual aspects. Customer service at the airport terminal, Copenhagen. 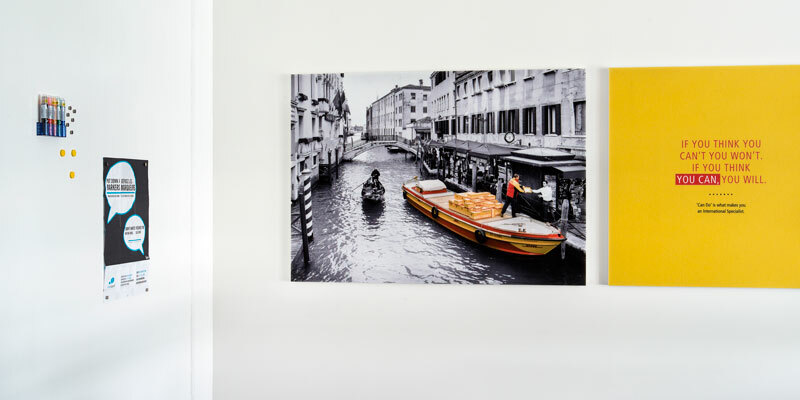 DHL’s own photos have been mutated from PR images to decorations; they have been printed on sound-absorbing boards. White-boards, monitors and acoustic boards are organized in a tight ribbon; this layout creates calmness in the ‘office landscape’. Acoustic panels pending from the ceiling in order to block the noise throughout the very long customer service office. In the meeting rooms white-board is painted on the wall. 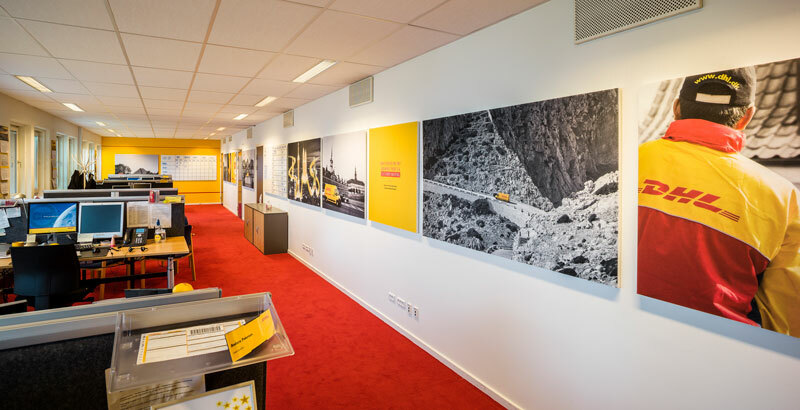 The majority of the images elaborated according to the concept conceived by MLR is now part of the DHL international image bank! 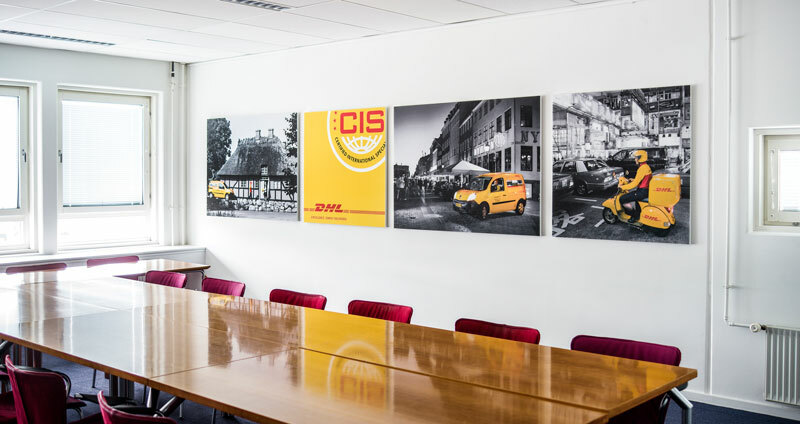 The CIS logo covers the whole wall in a small meeting room. Wires from the monitor are hidden behind the acoustic wall. 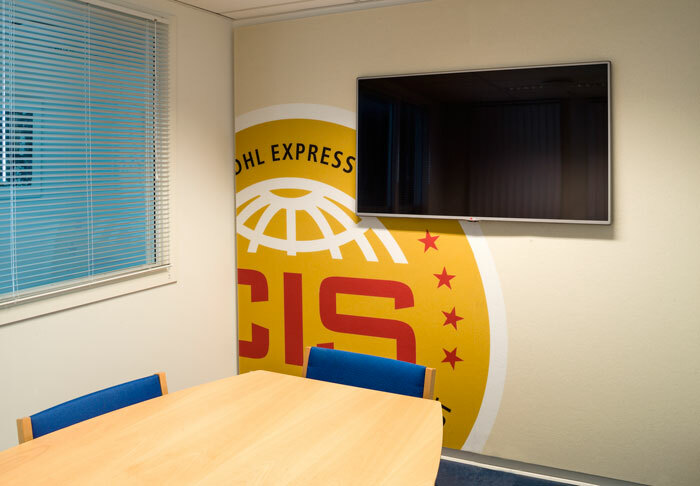 In the lounge the CIS logo covers the dividing wall in a room covering more functions. The construction of the wall is light and open, and almost invisible. In collaboration with Kim Jedig, EFG Bondo. The photographer Sven Berggreen has executed the image processing.